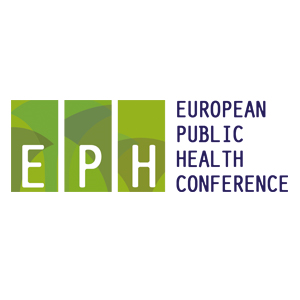 Registration to attend the DPH 2019 Conference is being processed by the European Public Health Conference team and opens 1st April 2019. Please note that to register to attend DPH, you will need to select ‘Digital Public Health Conference’ at registration. Click here to visit the EPH website. Registration for DPH2019 includes entrance to the DPH Gala Dinner, Conference bag, online access to the Abstract Supplement of the European Journal of Public Health and ACM DPH Proceedings, printed DPH Programme Book, buffet lunches and refreshments and other benefits. Online registration for DPH does not close, but payment should be made before the start of the conference. Delegates registering after 15 November 2019 (00:00 CET) will not be included in the list of delegates. Onsite registration in Marseille is possible with payment via PayPal and no longer by bank transfer or cash payment. Full-time students enrolled in a college or a university can register as a student for the reduced student rate. Proof of student status from the Registrar’s office verifying full-time status is required to process your application. Part-time students, post-doctoral and PhD candidates with an income and others that cannot meet the above requirements are NOT eligible for the discounted student rate. If you wish to make changes to your registration, please contact the EPH Conference Office. If you wish to cancel your registration, even if it has not been paid for, please contact the EPH Conference Office. The registration desk will be open on the following days / at the following times. For support outside of these hours, please contact the EPH Conference Office.